K-Palette is known for their eyebrow and eyeliner products. I personally love them! You can see the link of my reviews of their products in the latter part of this post. And now, here’s another sure hit from the brand, the new K-Palette Lasting 2Way Eyebrow Pencil. 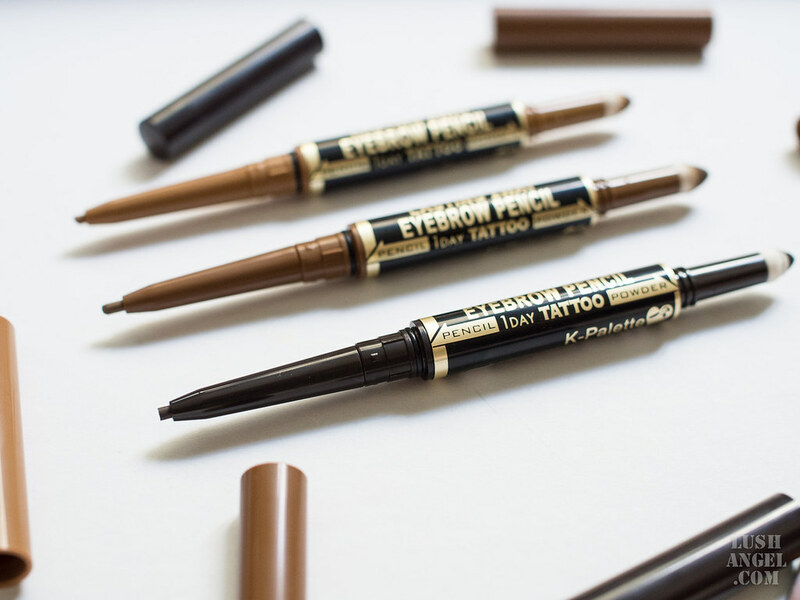 Yes, it’s another eyebrow product! For those who are not comfortable using eyebrow pens and creams, your prayers has been answered as K-Palette introduces their first eyebrow pencil. Just like the K-Palette Lasting 2Way Eyebrow Liquid, it’s also dual-ended. It has the same powder tip on one end to finish and soften the look. But instead of the eyebrow liquid liner on the other end, it’s an eyebrow pencil. 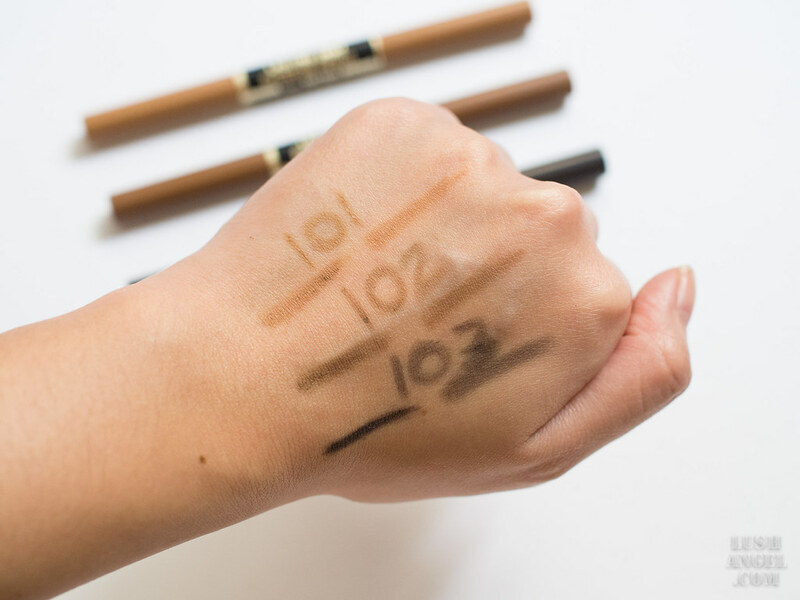 The eyebrow pencil has a retractable tip, so there’s no need to sharpen. It glides smoothly onto the skin. 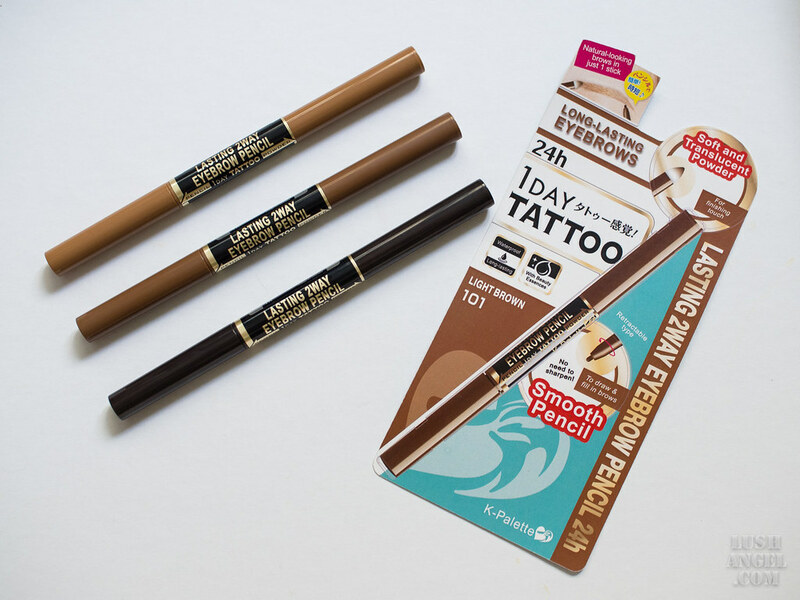 K-Palette Lasting 2Way Eyebrow Pencil comes in three shades – 101 Light Brown, 102 Natural Brown, and 103 Grayish Brown. The most universal shade is the Natural Brown. The Grayish Brown is on the darker side, while the Light Brown is more for those with blonde hair color. The Light Brown is also a little less pigmented compared to the other two shades. Below are the swatches of 101 Light Brown, 102 Natural Brown, and 103 Grayish Brown. All the lines on the left side facing you are the pencils, while the lines on the right facing you are the powder. What’s also amazing about K-Palette Eyebrow Pencil is that it’s water resistant. In fact, I tried washing my hands with water and only the powder lightened a bit. I had to use a makeup remover to completely remove the lines. 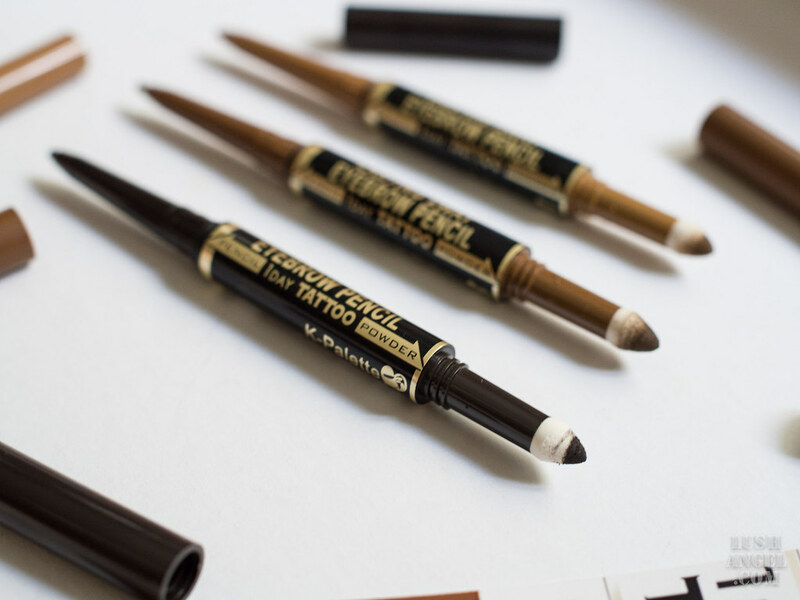 Use the eyebrow pencil to fill in brows and define its shape. Use the powder tip as a finishing touch and blend everything. When using the pencil, draw short lines for natural looking brows. 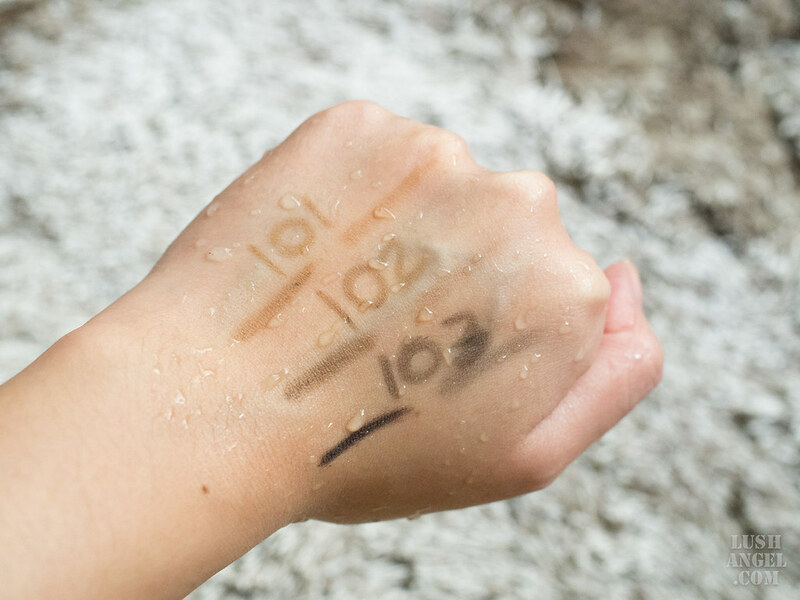 To remove product, use a gentle makeup remover. K-Palette is available at Rustan’s Department Store (Makati and Shangri-la), Beauty Bar stores (Trinoma, Rockwell, Greenbelt, Shangri-la, Eastwood, Galleria, Gateway, ATC, Podium, MOA, Midtown, Lucky Chinatown, Cebu, and Bonifacio High Street) or at shop.beautybar.com.ph. It retails for PHP 795.